Random musings from a random mind. A new and FREE podcasting app came across one of my networks and caught my attention, Anchor. This FREE podcasting app is available for both Apple and Android devices. I downloaded it right away, but had not tested it out until yesterday, when my daughter and I relaxed at National Grind, a coffee shop in Ellwood City, PA after school. I was grading student work, essay tests and projects, while she played Cool Math Games, Snail Bob was the specific game. After awhile we both needed a break and decided to enjoy our beverages, I had a mocha latte, she had a Smore Hot Chocolate. 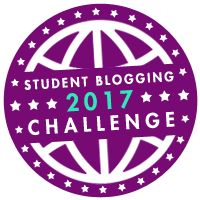 During our respite from work, she jumoed back into her Edublogs account; she is participating in the Edublogs Student Challenge again this year. She updated her About Me page, and created an avatar to place on her blog. 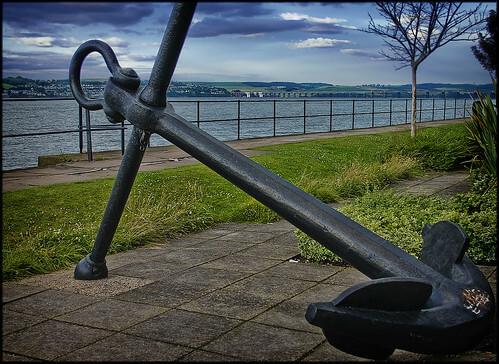 I thought this would be the perfect time to try out Anchor, it took seconds to set up the account on my phone, link it to my Twitter account and start recording. After a couple of miscues with releasing the record button, we recorded the following podcast. You can even invite others to join your podcast from remote locations, we will try that soon. I will follow up with another post once we officially try that out. We ran a quick test later last evening, it is super simple to do. 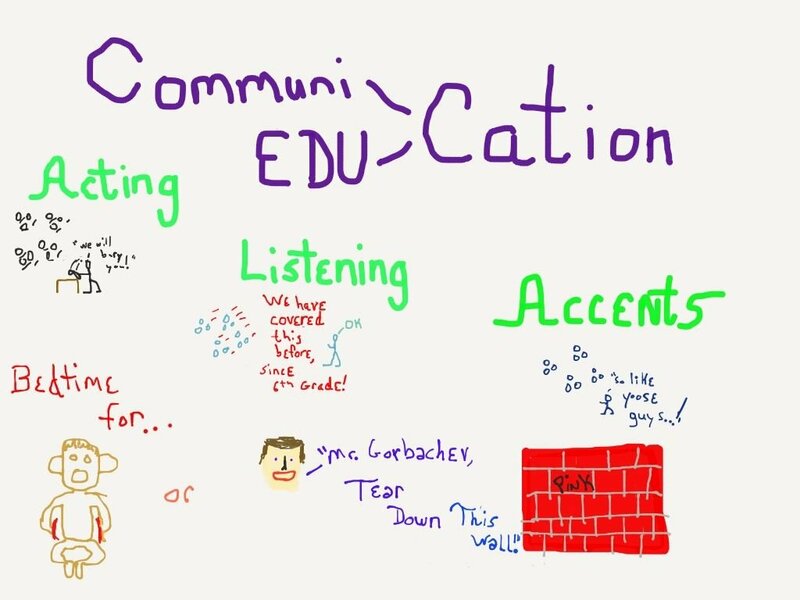 So for today’s portion of #12DaysofSketchnoting we have to describe Communication/Creative Communicators. This boggled my mind at first, but that happens at times, especially in the AM now that I drink half-caf coffee. As a history teacher the first thing that popped into my head was President Reagan, due to his nickname “The Great Communicator.” Bizarre…yes, but par for what goes on inside my mind. Should I try and draw him, or an unfinished movie poster title such as “Bedtime for Bon…” with a partially drawn monkey. My drawing ability is not good enough to draw President Reagan and I was not sure if anyone would get the movie reference. The ideas were non-starters. I had to do a hard reset and rethink how I could approach today’s topic. I decided to incorporate a blog post to explain my Sketchnote; it would be better explained in that context, than as a standalone image. I believe I can communicate well, for as non-linear as I think. I do lecture more than I should, but I try to make my classroom more of a discussion setting. While doing this, I try and relate issues to local/personal experiences, I have been known to be melodramatic, use various accents, and even act out and model situations. If nothing else, students can recall my bizarre actions, some can even recall the points I was trying to make. Since communication is a two-way street, listening is a major component of communication. Actually, not just listening, but giving students a legitimate voice in their own educational experience. Listen to them, but put what they say to use, give them a sense of…on second thought, not even a sense, but actual ownership of their experience in your classroom. The Sketchnote below is the mishmash of visuals bouncing around in my head as I thought about and typed this today. Freedoms are a tricky topic. This post is currently under construction. Here is the Storify from TRETC 2016. I learned a new game today, well I heard of it Saturday at EdCampPGH, but I tried it out with my students in class today. The game is QuizletLive. Students are broken into random teams and must communicate and collaborate to answer questions correctly. My students loved it and I was able to use my existing Quizlet flashcards as the basis of the game. There was no need to build new material, which a a HUGE time saver. QuizletLive motivated my students, the vocabulary review grew into a repeated competition for class supremacy. There is a brief tutorial video embedded in the site so there is no need to repeat instructions here. You see live tracking of student progress while the students are playing. In my not so humble opinion, the random grouping of students is probably one of the biggest benefits of this tool, along with using pre-existing resources. Having students step out of their comfort zone to work with new group members is important. They can no longer become complacent and work with their usual band of cohorts. If you get the chance check it out…SOON. On Friday, December 12, 2014, four of my Honors Civics students stayed after school to participate in an Hour of Code. I would have had more students, however many students had an early release for the Christmas Dance which was later that evening. Two of my students came back from the previous day’s activity to continue their work. This was the first time the two new participants were available to stay after. All four worked on iPads and used one of the free Lightbot apps available for an Hour of Code. We continued to use an Edmodo group dedicated to this endeavor as the platform for communication and organization. I stood back after a brief overview and let the students discuss the events of the previous day. The two students who participated Thursday opted to continue on with the Lightbot puzzles instead of creating code via PageStudio. The new students joined in and they began working on individual tasks. I mirrored one student iPad onto my Interactive Whiteboard, IWB, using Apple TV. The students were very quiet as they worked on their tasks, which was not what I was hoping for. The students were super-focused on what they were doing which was good, but I was hoping for more teamwork. As I observed what each was doing on their iPad, the student who was mirroring her iPad onto the IWB hit a snag and was stuck on a puzzle. I encouraged her to ask the others for help and reiterated that I was hoping for a group effort. As she asked for help, the students realized that they were all around the same puzzle and having similar issues. The four students began to talk, collaborate, and test out possible solutions on their individual iPads, sharing their ideas with each other using the mirrored iPad. This went on for the rest of the sessions, almost the full hour. Their ability to work through the increasingly complex tasks increased in speed and the tasks were less tedious as they joked and talked out the solutions. Overall, the session seemed to be a success. 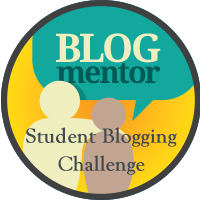 I posted an assignment in the Edmodo group to add to the enrichment assignment; write a reflection blog post on the Hour of Code, or record a short podcast reflection of their efforts. I am looking forward to seeing their thoughts on the activities and hoping for honest opinions. I would like to expand upon this event and getting their opinions on how to improve it is key. I also offered to continue with activities like these throughout the year if they are interested in doing so. Hopefully I will find out soon via blog post or podcast if they thought the effort was a success. My major epic fail for the project was forgetting some Christmas cookies on my dining room table at home that I bought as a snack for the participants. I did remember to bring juice pouches for them, and had some animal cracker/cookies for snacks, but forgetting the good treats bothered me. This year I am stepping way out of my comfort zone and attempting to learn something new with the help of my students: CODING. I have been a technology coach in my district, starting with Pennsylvania’s Classrooms For the Future initiative, CFF, then through an EETT grant. I would like to think that I am fairly knowledgeable with using technology in an educational setting. I have had extensive formal training through the Pennsylvania Department of Education, a second Master’s Degree in Instructional Design for Online Learning, a rockin’ global Professional Learning Network, PLN. I have presented at numerous local, regional, and state conferences about ways to effectively use technology in the classroom, not to mention many, many, many Twitterchats, and global virtual discussions on using technology. That being said, I am not well versed in fixing devices, my Dr. Who Sonic Screwdriver aside, nor do I have much experience building apps and tools for educational use; that is what tech support and edupreneurs are for. My app building experience stops with the what used to be Google App Inventor and my old Android Droid X phone. I used the drag and drop technology to make several apps that would take me to predetermined websites using two clicks on the screen. Oh yeah, I was cutting edge until App Inventor went away, though now it is with MIT I believe. I also moved on to an iPhone, no App Inventor for that device. I have been wanting to learn how to CREATE tools that I can use and to understand how the educational tools that I use actually work…no more man behind green curtain mystique. I am also working with other educators on organizing maker-areas, gamification in the classroom, and planning how I need to adapt to the future of education. I need to get my head wrapped around coding. This year I happen to have a great group of Freshman who have been learning the concept of coding, I saw a fantastic opportunity…I need to learn what they either know or are cureently learning. My plan is to try and learn the how to create code and discuss my progress with them; sharing what I am learning and asking questions about concepts that are difficult for me. Basically I will be modeling learning, which I have done before, but never with a concept so foreign to me. My starting point is this week with The Hour of Code. I am am hoping my students are willing to provide a safety net for this old dog who is trying to learn new tricks. So, my students are winding up their collaborative projects that I have posted about previously, click here to view. The last couple of days students have made a a concerted effort to finish up the projects. Students have been staying after school, using my open door policy by coming in during their study halls, lunch periods, or any other free time, and asking questions after hours via Edmodo. While I admire their efforts, I believe that if they started out this focused on the project, there would be no need for as much effort now. I do realize that the dreaded, state mandated, standardized tests were last week which created a different atmosphere for the start of the project. Being entrenched in the holiday season and weekly threat of “SNOWMAGEDDON X” from the local weather forecasters has added to the ongoing list of distractions for this project. Yesterday, I was reflecting on some of my notes from PETE & C last week. I am trying to round out my digital footprint from strictly “Techno Geek” stuff to adding more of the “Social, Non-Educational Me” stuff. In the process of reflecting I noticed that my iPhone is running out of storage space. Upon further review, I had over 380 new pictures that were not uploaded anywhere for safe keeping. Since I was off from work, I decided to do some “Digital Housekeeping.” I opened up several photo apps on my iPhone and began uploading the images to the appropriate websites. I keep my family photos on one website, they are locked down as private; there is nothing inappropriate on the site, I am just more comfortable not sharing EVERYTHING with the world. I also uploaded a bunch of images to my Flickr account. This account has all of the images labeled with the Creative Commons Reusable with Attribution license. I place many generic, everyday photos of things I come in contact with here. I make my students search for open source and resusable images when creating projects for class. It is my belief that I should give back to the system and add images for others to use. All images sent to Flickr also go to my family storage site, there is an overlap, but storage is free, so why not take advantage of the space. Once I upload images, I am working on keeping only my favorites on my device. This will free up Gigabytes of space on my phone and allow me to record many more family moments and general interesting events I see. I need to do digital housekeeping on a regular basis and I still have a long way to go with pairing down the images on my devices. Well, we in Pennsylvania we have new(er) standardized tests, the Keystone Exams. It was my distinct pleasure to be permitted to proctor them this year, sarcasm is intended. I hate standardized tests, but that is a rant for another post. The state window for testing started after Thanksgiving break and ended a week or so after we got back, sorry, but I do not pay attention to such details, I just focus on when we HAVE to take them in our school. Our district took the tests right out of the gate following break; if you have to do it, just jump right in and start. With the majority of my students testing at least one of the three scheduled days I knew I would not be able to accomplish much. My students would either be testing and out of my class, or coming into class after testing and have their brains fried to a mush-like substance. All students who missed class would need filled in, and students who had their brains curdled would need remediated…what a world, what a world. I chose to jump into collaborative project week and expand the assignment by a week. Each of my subject classes had a different project focus of topic, but similar style projects to create. Podcasts, websites, videos, to combinations of such things were highly encouraged. Students were to use the new iPads or their own personal mobile devices to work on the projects. With a week of near empty classes, or classes filled with zombified students I rolled out the projects. We started slow, students used Google Docs to sign up for groups, topics of research/presentation, and methods of presenting. We brainstormed ideas of research together as group, discussing why topics were of interest and should they be accepted. As usual, Edmodo was used as the mothership platform for communication and organization of the classes. This first week went well, students were able to accomplish work and decompress from the testing. The opportunity to collaborate, socialize, and have others to lean on was a major benefit for the students. Those students who did not have to test benefited from not having to do extra assignments, or busy work as they call it. As you will see in my next post, students who missed for testing even started the projects while away from class. While I still thoroughly despise such tests, I now have a worthwhile concept to get my students involved in while we grind out these mandatory requirements.